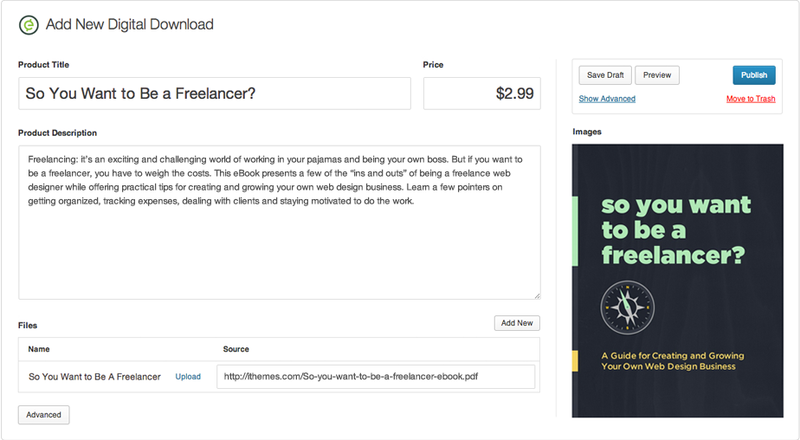 A couple of years ago I wrote a post Invoicing & Billing with WordPress: There’s a plugin for that!, and it has been very popular over the years, however, the solutions haven’t always worked out so great for everyone. I thought it was time to do an update! So I set out to find another solution that could provide better results. 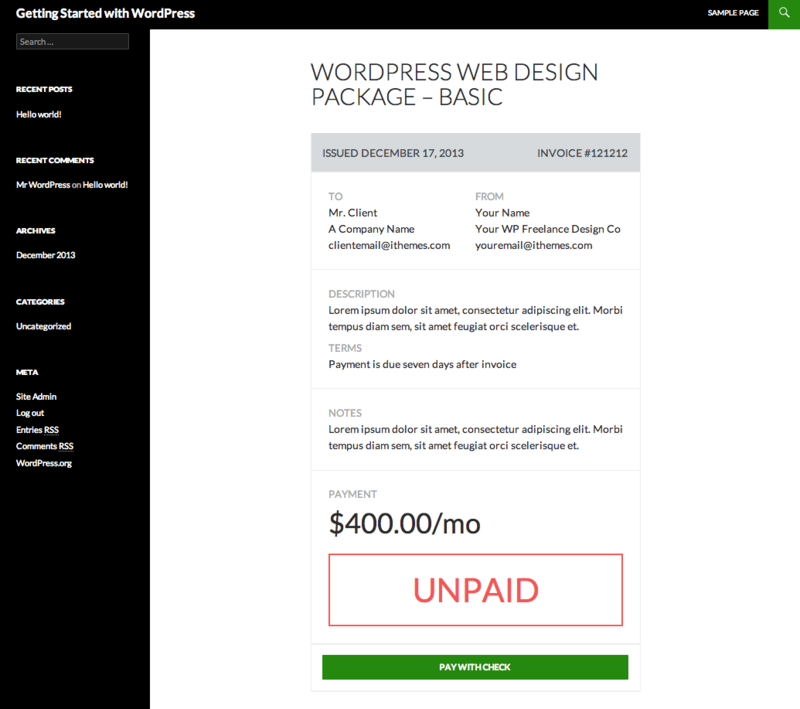 As a side note, I no longer use WordPress for invoicing. I switched to Freshbooks about 18 months ago. For the past, 4 or 5 months I’ve been watching a new plugin called, Exchange (an ecommerce plugin for WordPress) developed by iThemes (affilink) and I’ve been very impressed with it. From my first review of the features, I could tell that it was a very lightweight and simple solution. Which meant it would be easy to use. Although I’ve been using WooCommerce exclusively for ecommerce website development, it can be bulky and cumbersome. And Exchange looked refreshingly simple. As you can tell from the screenshot below, the user interface is clean and to the point. Why am I talking about an ecommerce plugin? iThemes added some more impressiveness to Exchange when they started releasing add-ons, and one of those add-ons is Invoices. With the Invoices Add-on for Exchange, you can send invoices to clients or customers directly from your WordPress site that can be paid via your preferred online payment gateway, like PayPal (Standard or Secure; free with Exchange), PayPal Pro, Stripe, Authorize.net and CyberSource. The front-end design is very simple and direct, avoiding any confusion for your clients. For a full list of features visit the Exchange Invoices Add-on page. As an added bonus, because this solution is built on an ecommerce plugin, you’re now ready to sell all kinds of things from you WordPress website. I think you’ll like this solution. If you’re looking for a way to use WordPress to send invoices, I bet you’ll be pleased with the new Exchange Invoice Add-on.